Trevor Strahan is an actor, director, designer, producer, and teaching artist originally from Houston, Texas. 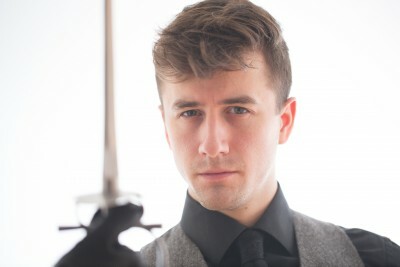 After graduating with a Bachelor's in Fine Arts in Acting from the Oklahoma City University School of Theatre he moved to Chicago to officially begin his artistic career in the Midwest. Trevor is also a proud and active member of The Academy of Fight Director's Canada where he is an Intermediate Actor Combatant. On top of his role as an actor combatant and violence designer Trevor is also the Executive Director of Chicago's newest Theatre Company: Theatre Evolve. Trevor has worked as an artistic professional in Houston and Dallas, Texas; Oklahoma City, Oklahoma; Birmingham, Alabama and most notably Chicago, Illinois. Favorite projects include most recently providing a staff development class centered around building safe violence choreography for the third largest public school district in the state of Texas and working as the Associate Fight Choreographer for The Chicago Shakespeare Theatre's most successful and wifely attended production of Macbeth. The Prince of Cats vs. That Scurvy Knave! The artist will be given a short scene from Shakespeare's crowd favorite: Romeo and Juliet. The artist will first pair off and break down their scene using specific techniques Violence Design Professionals use in the industry to decide how each character fights the way they do. Then the artists will learn specific fight choreography used in a fully produced version of Romeo and Juliet and apply their own flair to each character they are fighting as. The artist will then pair off and work their scenes with a partner ready to return at the end of class to present their scenes for the class.